Sarah Callaghan is headlining this show. Check out her impressive Bio! 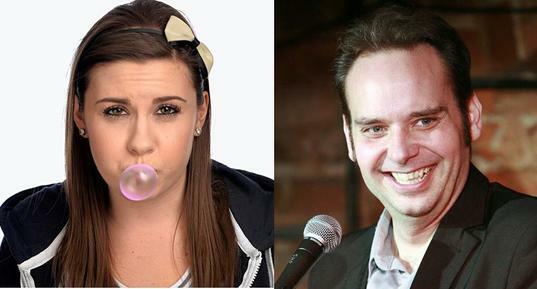 Canadian David Tsonos will be on board as well, for another great evening of comedy! In 2014 she was named as ‘One to Watch’ by Time Out and in 2015 she took her critically-acclaimed debut hour show Elephant to the Edinburgh Fringe. A confessional exploration of escape and ambition, Elephant played to packed houses and received great reviews across the board. She also appeared on E4’s Virtually Famous as a guest on Seann Walsh’s team. In 2016 Sarah was a guest on @elevenish (ITV2) and she returned to the Fringe with her eagerly-awaited follow-up, 24, which she once again took on to Australia for a second run of shows in the Sydney and Perth comedy festivals in 2017. Sarah returned to Edinburgh this year with her new show, The Pigeon Dying Under the Bush, and continues to take the live circuit by storm.